Hey there lovers of glamour! Are you seeking for some designs that will make a statement in your home? If yes, then sequins are really your thing. 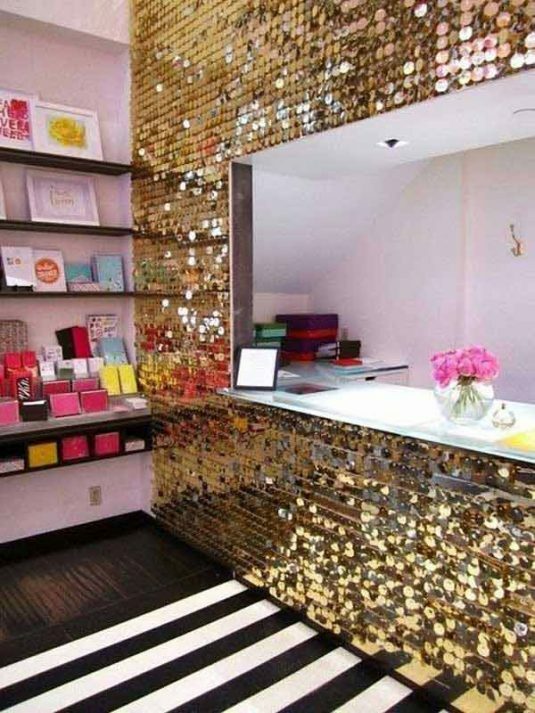 Check out the Sparkling DIY Sequins Designs That Will Make Your Home Shine and recreate the looks you love the most. I’m sure that it will be hard to pick a favorite cause all of them look stunning. Scroll down and see it for yourselves! 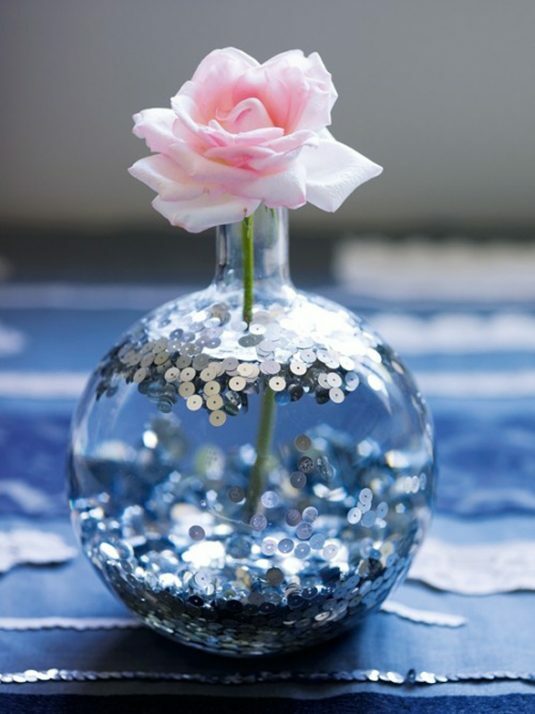 The simple and ordinary glass vase will more outstanding if you just add sequins inside. Give it a try! 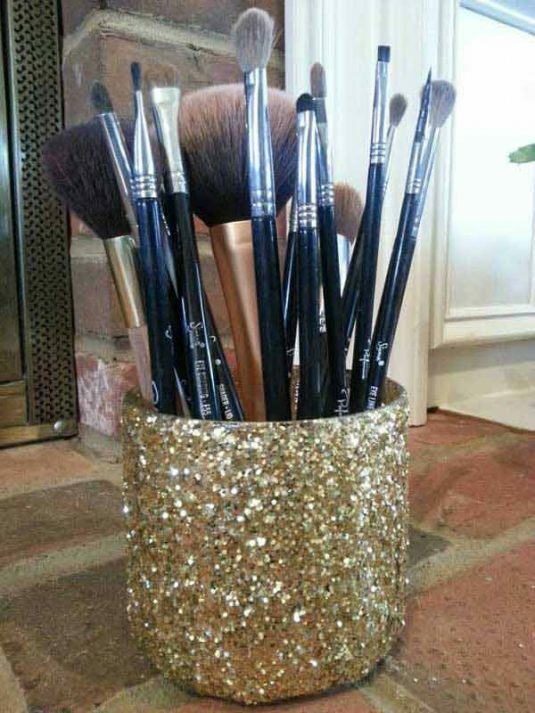 What do you say about creating this shiny brush makeup holder? It’s not a difficult DIY project and it won’t take you much time. This is a new and popular trend which is just perfect for your fancy dinner party. 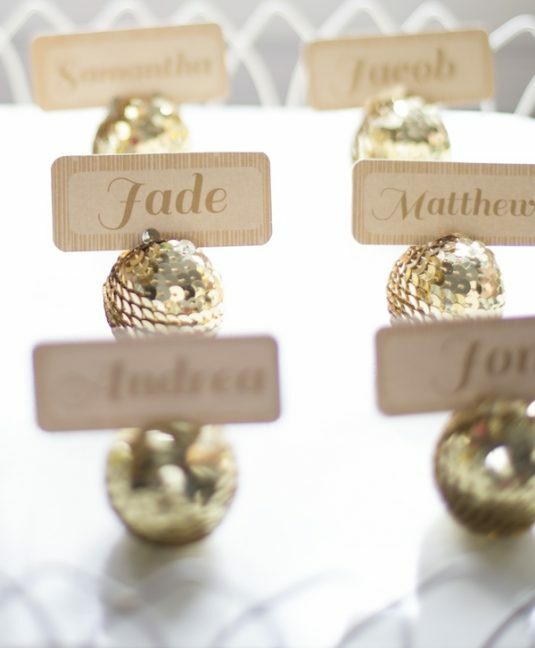 Label the place on the table for your guests with these awesome sparkling sequins disco balls! 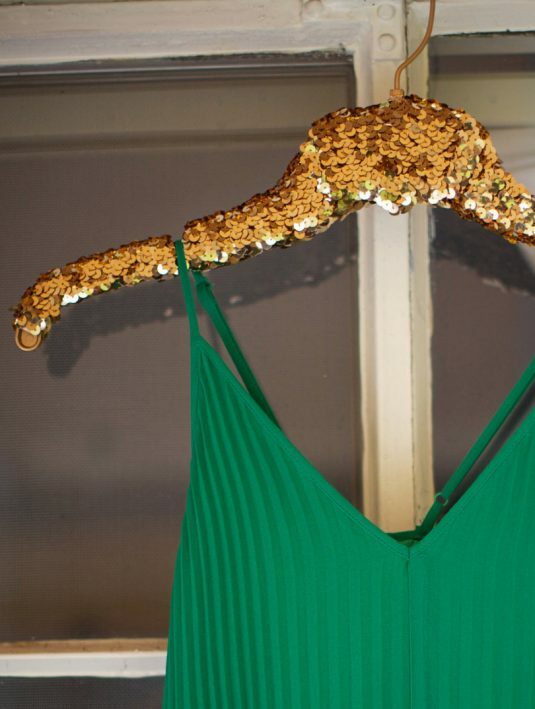 I don’t think that there would be a girl who won’t fall in love with this super modern sequin hanger. Would you like to upgrade your old and boring one with this spectacular design? It’s fall and that means that it’s pumpkin season. 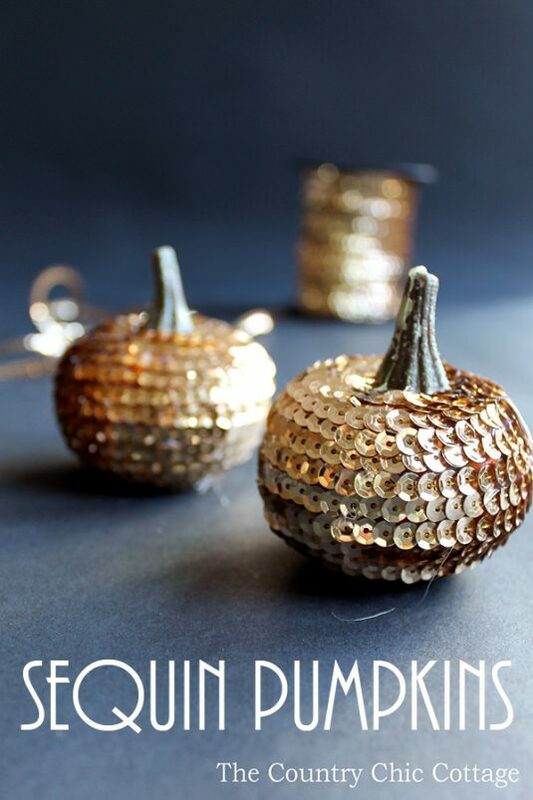 To stand out from the rest of the crowd, cover your mini pumpkins with sequins and use it to decorate your home in a fancy and dramatic way. 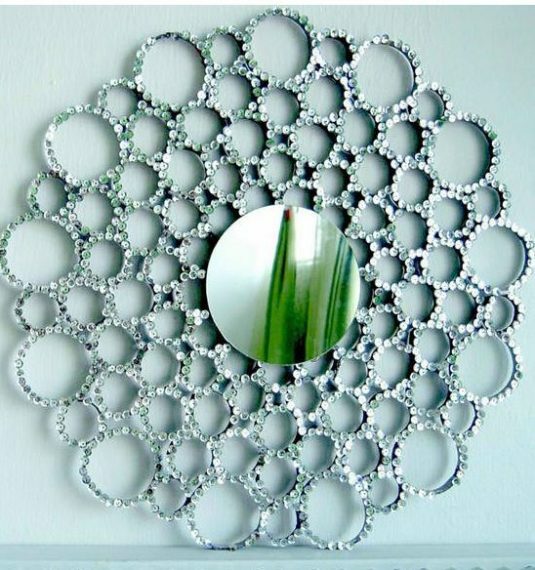 As you all know this mirror frame can be made by using toilet paper rolls, and sequins are a great way to make it look like you have bought it from the store. Would you like to make it anytime soon? 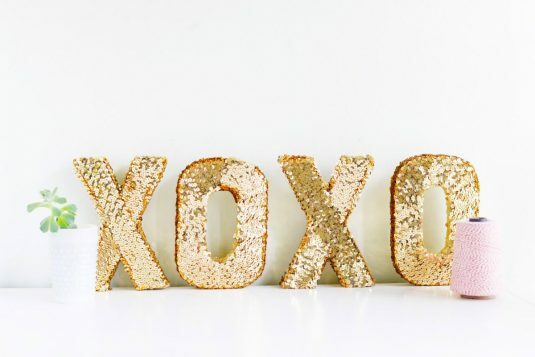 To make this adorable and sparkling decoration, you just have to cut out the letters from a cardboard and cover them with sequins. As easy as a pie! 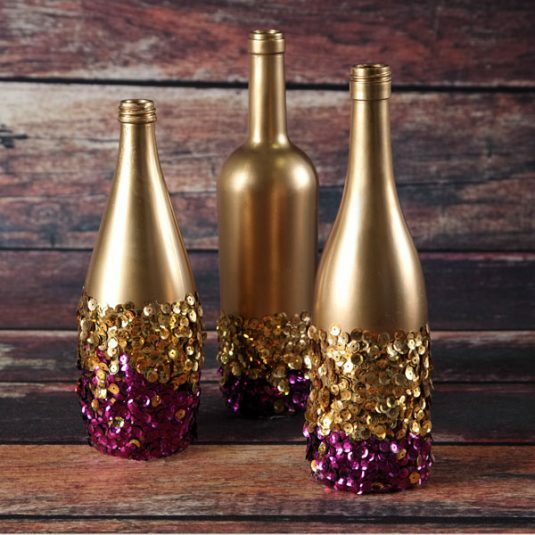 To get these classy decorative bottles you have to paint them in gold color first, and later stick the sequins in the same pattern. 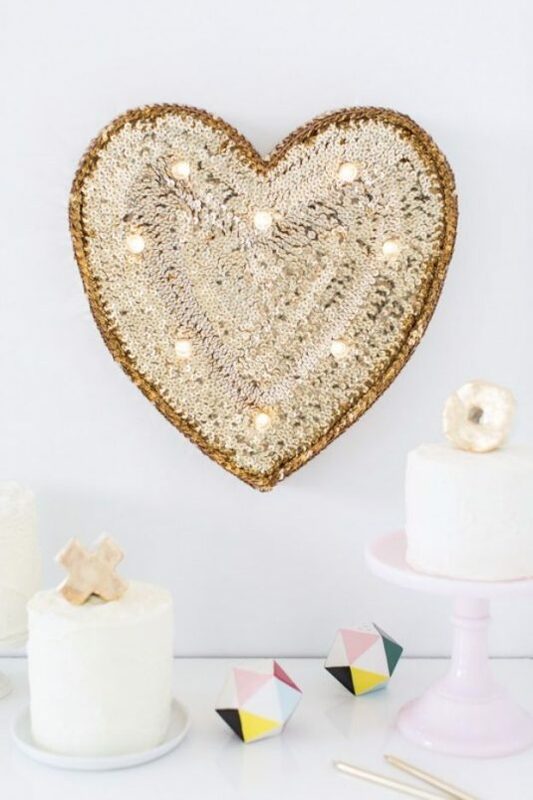 This hearty decoration can be made with cardboard and sequins, in the same way as the craft with the letters. Which one you prefer more? 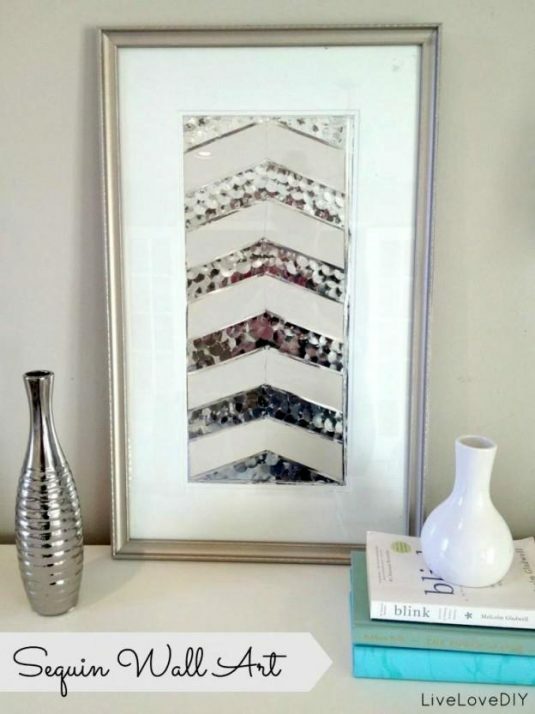 What do you say about making an artistic piece with sequins which you can later frame and hang on the wall? 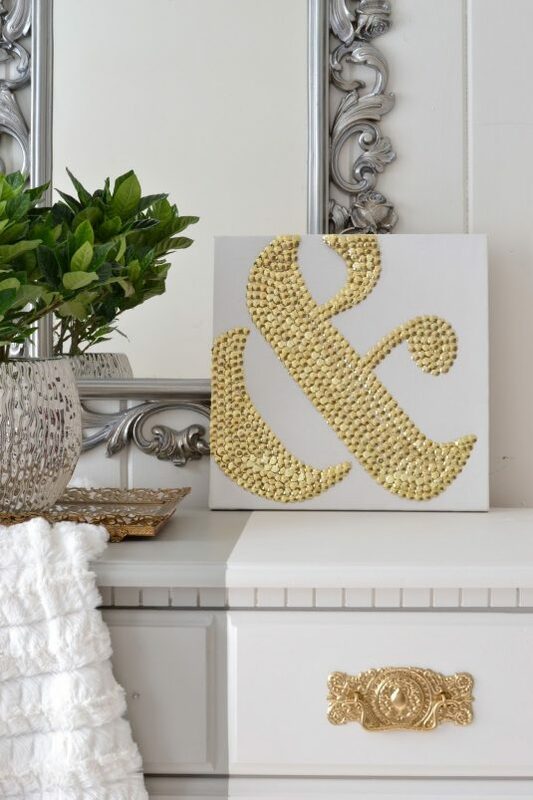 Any blank canvas can become your next DIY project, so be creative and have fun while making one with the adorable sequins. Do you wish to go big with sequins? Pick the bigger ones and make this attention-grabbing wall decor. Everyone’s going to love it! 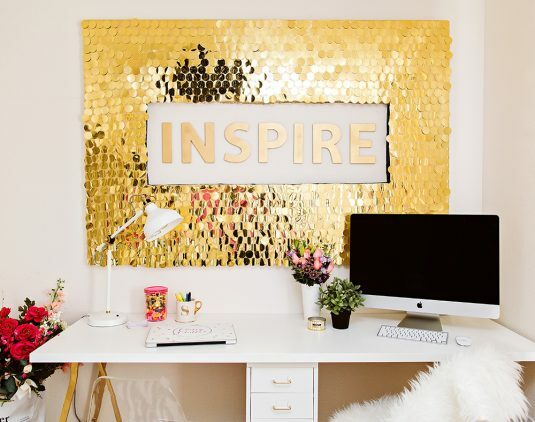 Do you have the courage to cover the whole wall with sequins? If yes, don’t hesitate to do it! 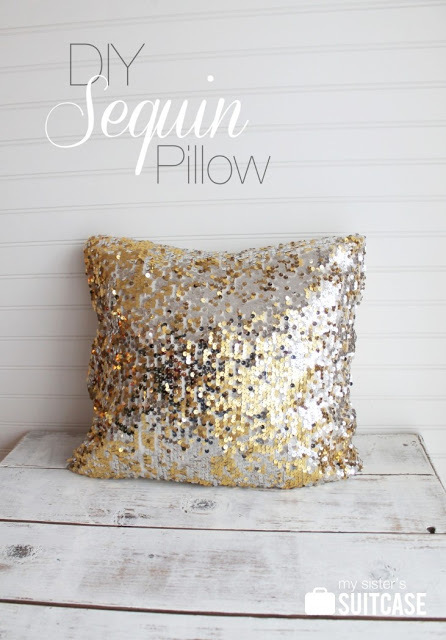 The DIY sequin pillows will give a more playful look to your living room sofa. 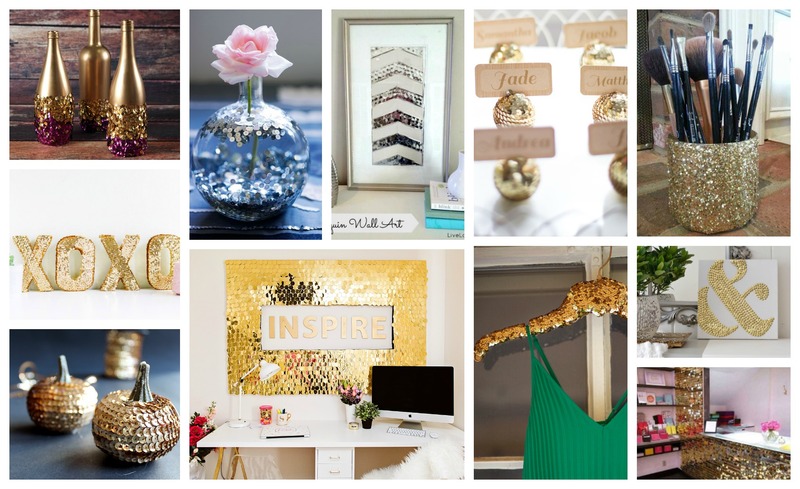 How are you going to use sequins for your next DIY project! Keep me posted in the comments below and feel free to post your photos with the final result too!